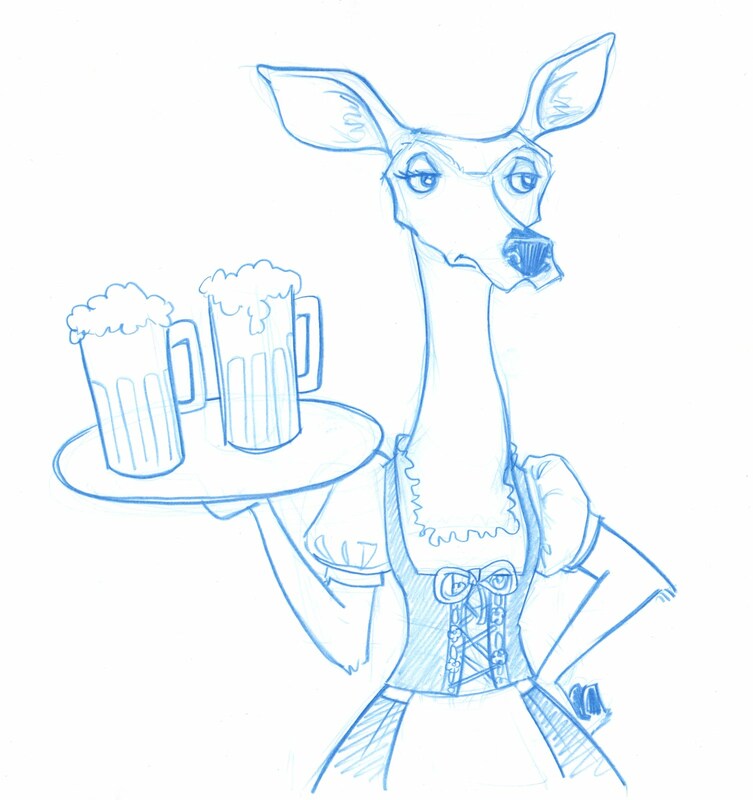 Doe (a deer, a female deer) and dirndl. Fantastic:) It is always nice when you read some thing that is not only informative but entertaining. nice draw. 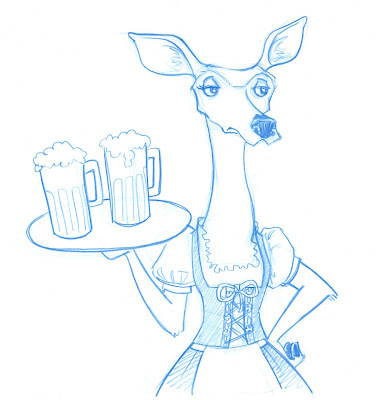 i really like your post as well as your site..
why the waitress is so thoughtful? beautiful picture, love it!